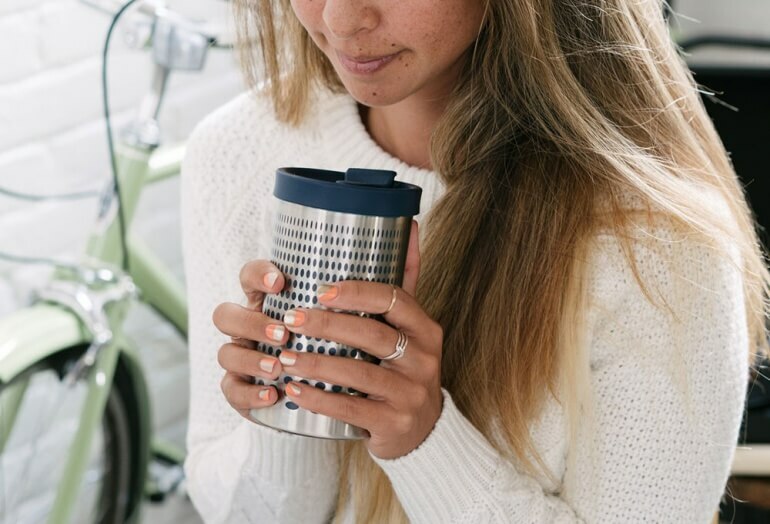 Bobble's take on the standard french press travel mug comes highly rated and worth a look for anyone who enjoys coffee on the go. This combination coffee brewer and mug is Bobble's answer to the demand for travel french press mugs. This coffee maker uses the all-in-one brew and go idea to allow you to brew and enjoy your cup of jo all from the same unit. 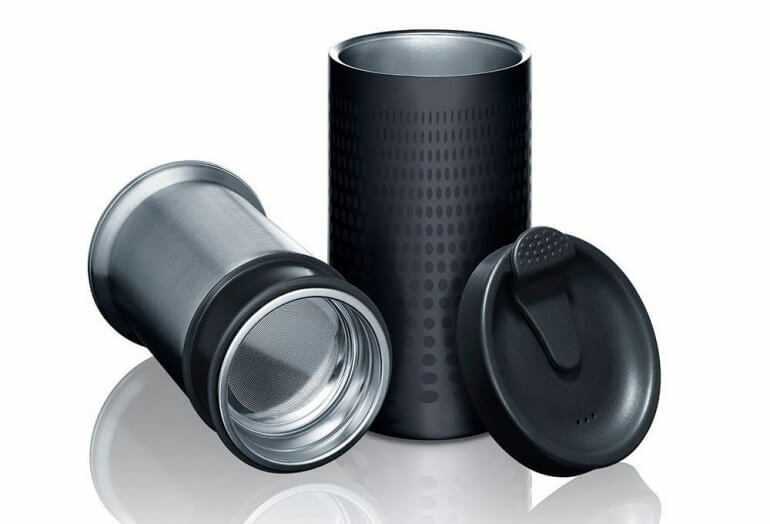 The 3 piece mug is made up of the outer container, the inner filter unit, and the lid. Rather than the standard plunger filter on a rod french press design, the Presse uses the entire inner cylinder with integrated filter to brew. Once you've made your cup of coffee you can enjoy hours of heat retention due to the 3 wall insulated design. Fill the basket with medium coarse coffee. Press the inner-press down into the cup. This mug is perfect for anyone who has access to hot water before they brew. 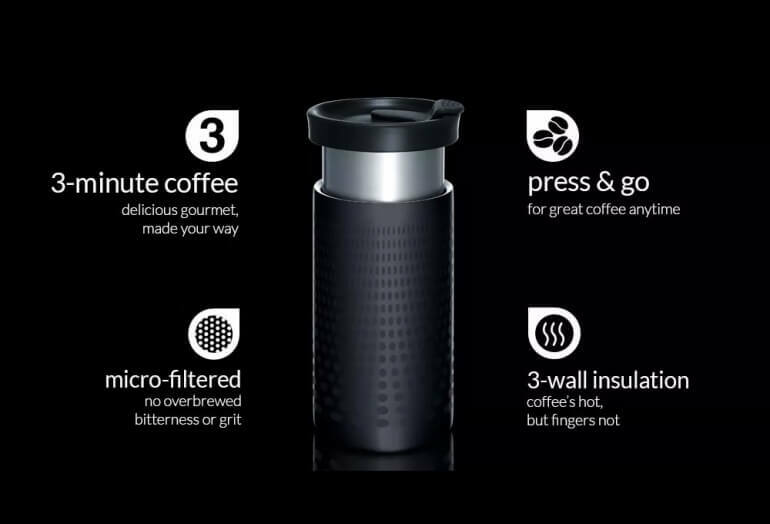 You can brew at home and take it on the go, or fill with coffee grounds at home and brew later. This product is part of our writeup on portable coffee makers. Materials: Food grade 304 stainless steel and food grade high temperature silicone parts. Volume: Brews up to 13 oz of coffee.